P. Tomme, R.A.J. Warren, and N.R. Gilkes, Cellulose Hydrolysis by Bacteria and Fungi. R.J. Smith, Calcium and Bacteria. R.E.W. Hancock, T. Falla, and M. Brown, Cationic Bactericidal Peptides. Y. Inoue and A. Kimura, Methylglyoxal and Regulation of its Metabolism in Microorganisms. H.K. Hall, K.L. Karem, and J.W. Foster, Molecular Responses of Microbes to Environmental pH Stress. E.A. Galinski, Osmoadaptation in Bacteria. Chapter References. Author Index. Subject Index. Praise for the Serial "This series has consistently presented a well-balanced account if progress in microbial physiology...Invaluable for teaching purposes." Advances in Microbial Physiology was first published in 1967, and under the pioneering editorship of Professor Tony Rose, with the collaboration at various times of John Wilkinson, Gareth Morris and Dave Tempest, the series has become immensely successful and influential. The editors have always striven to interpret microbial physiology in the broadest possible context and have never restricted the contents to "traditional" views of whole cell physiology. Robert Poole was appointed as the new editor following the untimely death of Tony Rose. 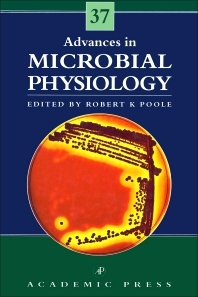 Under Professor Poole's editorship, Advances in Microbial Physiology continues to publish topical and important reviews, and to interpret physiology as widely as in the past by including all material that contributes to the understanding of how microorganisms and their component parts work. This continues to be the real challenge of microbial physiology.